Torah, Deuteronomy 23:05: …He [the people of Moab] hired Balaam the son of Beor from Pethor in Aram Naharaim against you, to curse you. Question: Bilam was hired by the Ammonites and Moabites (the desires that can’t be corrected) in order to curse Israel. However, at the same time, the people of Israel were already heading to the Creator. Is it possible to associate this with today’s Israel that still must be forced to move forward? Answer: We can’t compare ourselves with the Israel that once was ascending the spiritual ladder. After all, this is the movement through an internal spiritual desert. Bilam is a prophet that has connection with the Creator. He understands what Israel is and acts naturally and clearly according to the command of the Creator, like everything else in the world. Therefore, we need to respect this force even from the opposite side, meaning from the side of impure forces. Although from the negative side, Bilam represents the force through which the Creator rules the world. It means that He rules the world exactly through our impure desires in order to pull a person “by the ears” from spirituality. He resists, he wants to reach spirituality, but he is dragged away more and more. Then, when his “ears” are stretched to the limit, he is suddenly released and flies directly to spirituality. This is useful. This is precisely the work of Bilam. He intentionally goads a person to criticize, to think that everything is not the way it is, and so on. The left line must exist in parallel with the right line, and between them we build analysis and synthesis of all possible states through which we begin to understand how the universe is organized. Question: Does it mean that Bilam in a person makes him advance even faster? Answer: Probably not faster, but this is a necessary state in a person, when he denies the Creator, wants to rebel against Him, and doesn’t want to consider anything, egoism in him rises so much that he wants to rule the entire world. This happens to every person. Here it is about the same actions on the higher levels. Therefore, the force of Bilam is necessary for the correct analysis of the entire path. Nothing superfluous was created in the world, everything depends only on the extent that we will correctly work with these forces. Everything is just for our correct advancement. Thus, it is necessary to eliminate intention of the desires called Ammonites and Moabites (meaning for oneself), and the very desires to begin correcting to bestowal. When Will Terrorism Come To An End? Question: Recently, IDF soldiers recently killed the military commander in the Gaza Strip. Consequently, the Palestinians are threatening to retaliate with acts of terror saying that they will not leave us alone. How long can this go on? Answer: This will continue until the nation of Israel begins to fulfill its historical mission. We have the method of correction for all of humanity and our role is to bring it to the best and highest state, but we are not fulfilling it and so we invoke all these negative forces of nature. Question: Are you promising that all this will stop, that our enemies will disappear and turn into our friends, if we begin to fulfill our mission? Answer: I have no illusions about Theresa May and the British, both in the past and in the present. They burned Jews in their synagogues. I’ve seen all these places. We must accept the fact that nature affects everyone: by their anti-Semitism, they affect us because we are “stiff-necked people,” that is, stubborn and unwilling to correct ourselves. For Theresa May, it is only a political move in order to relate numerous problems to Europe. She says: “We support Israel, we are against all polls,” in order to counter Europe, which voted for anti-Israel UN proposals. So, there is nothing new here, it’s pure politics. The British are widely known as good politicians. But internally, they have not changed, of course. Moreover, they are unable to change. They can be changed only by the people of Israel if it begins to fulfill its historical mission. Question: How and when must a woman be seriously involved with the wisdom of Kabbalah if so many tasks are imposed upon her: work, family, a husband, and children? Answer: We need to reorganize our world so that men will earn enough money for what the family needs to exist and women will be able to stay at home, deal with family matters, and educate the children, herself, and her husband. The man must engage with work only to support the family and to study the wisdom of Kabbalah. Question: Do you believe that there will be a turn in this direction in the world? Answer: Nothing will succeed otherwise. What will we do with billions of unemployed, with people who are not needed? With what will they be involved? They must be taught and educated. Gradually, they will create normal families who will be compatible with the spiritual root. Without being compatible with the spiritual root, we will not reach the completion of correction, neither physically nor spiritually. Through their unity or lack thereof, the Jews determine whether hatred or love of others will prevail the world over, and the world relates to them accordingly. Just recently,Thomas Lopez-Pierre, who is bidding for a seat in the NYC council, said, “Greedy Jewish Landlords are at the forefront of ethnic cleansing/pushing Black/Hispanic tenants out of their apartments.” Zionism has already been accused of racism, but today we are seeing the argument that Jews favor only their coreligionists gaining more and more turf. It makes sense to think of Judaism as a racist religion. After all, we are regarded as “a people who dwells apart, and will not be reckoned among the nations” (Numbers 23:9). Throughout the ages, we have been defined as “the chosen people,” “a light unto nations,” and other depictions that set us apart from the rest of humanity. But is Judaism itself racist? Does it aspire to subordinate other nations? Does it demand to convert non-Jews to Judaism? Does Judaism assert that being Jewish grants prerogatives that are not to be given to people of other faiths? As we will see, the truth is to the contrary. Judaism means more commitment and more demands from its own adherents, and not from anyone else. Instead of requiring the subjugation of others, it requires the commitment of Jews to serve humanity. To understand Judaism, we must go back to its beginning, and connect it to its final purpose. Some 3,800 years ago in the area known as the Fertile Crescent, humanity was taking its baby steps toward becoming a civilization. At that time, Babylon was the ruling empire and governed the lush lands between the Tigris and Euphrates rivers. To counter the Babylonians’ enmity toward each other, the Patriarch Abraham realized that they must cultivate a matching measure of connection and unity. He understood that in creation, everything is united, and the apparent contradictions actually complement one another and form a perfect whole. Abraham also realized that if the Babylonians knew about nature’s wholeness they, would stop hating other people and would, instead, cherish the diversity and benefit from it. It follows that Judaism does not derive from geographical or biological affinity, but rather from an ideological perception that unity is the key to solving every problem. The Hebrew word Yehudi [Jew] comes from the word yihudi [united], writes the book Yaarot Devash (Part 2, Drush no. 2). In other words, the only criterion by which one can become Jewish is one’s acceptance of the principle that love must cover all crimes, and unity must be the basis of all human relations. The myriads who joined Abraham came from all over the Fertile Crescent and the Near and Middle East, and they were all welcome as long as they followed the law of unity. Since the ruin of the Second Temple due to hatred, the Jews have been immersed in hatred. They have forgotten the principle that love covers all crimes and let hatred govern their hearts. But since they are intended to be “a light unto nations,” the world blames them for every act of hatred that unfolds anywhere in the world. Jews may not know that they have the key to ending hatred, but the world senses it and demands this of them. One of the criteria to determine whether a person is antisemitic is “double standard.” That is, people are tested as to whether they judge Jews and Israel differently from everyone else. If we are to be honest, we should admit that everyone, even Jews, judge Israel and Jews differently from all other nations. 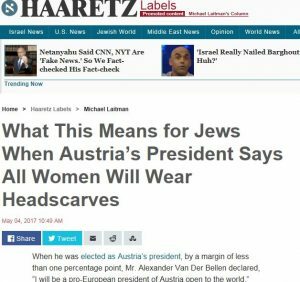 This “double standard” is written in the scriptures, and every person in the world feels that Jews are different. Jews are different but they are not racists, since authentic Judaism dictates that anyone who subscribes to the idea of unity above hatred is regarded as Jewish. Yet, Jews are definitely unique. Currently, because Jews are not “a light unto nations,” meaning they are not spreading the light of unity, the world hates them. If the Jews return to being what they were when they became a nation after committing to unite “as one man with one heart,” the world will view them as the most valuable nation on the planet. Through their unity or separation, the Jews determine whether hatred or love of others will prevail the world over, and the world relates to them accordingly. No other text sums up this message as clearly as this excerpt from The Book of Zohar. In the portion Aharei Mot, the book writes, “Behold, how good and how pleasant it is when brothers sit together. These are the friends as they sit together, at first they seem like people at war, wishing to kill one another. Then, they return to being in brotherly love. Henceforth, you will also not part … and by your merit there will be peace in the world.” Let us do what we must do.